Inspired by the great Trappist beers this is our strongest beer to date, a real heavyweight at 11.8% ABV. Brewed in the Belgian tradition we used dark sugar alongside pale, crystal and roast malts to maintain a smooth, balanced mouthfeel. Raisin, plum pudding and subtle chocolate flavours define this beer with a warming alcohol finish. 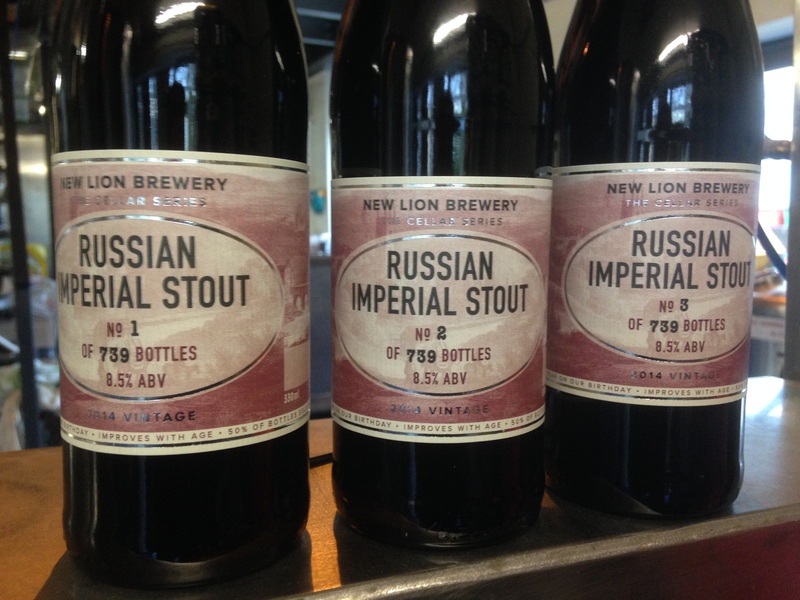 Russian Imperial Stouts are often referred to as “the king of stouts”, boasting high alcohol content and plenty of malt character. They are also one of few beers that can be laid down like wine and which improve with age (see our video here). In 2014, 739 bottles were brewed, and on 28th November 2015, half of those, 369 bottles, were released (all are now sold). In November 2016, the next 184 bottles will be released (and half again each year for the next 5 years).